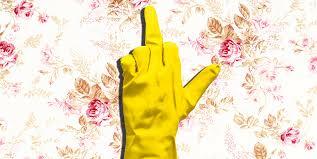 Society has long since decided domestic labor is women's work. But do you like to bake? Do you enjoy having a dance party or listening to podcasts as you clean? Do you feel a sense of satisfaction in taking care of your home and the ones you love? How do we reconcile that which we love with the idea that it may be the same thing that holds us back? Come let your voice be heard and feel supported by a wonderful community of intelligent women! As always there will be wine, snacks, and women with voices and opinions. TICKETS REQUIRED AND AVAILABLE HERE. Your voice is powerful: The ELU is a safe space and a platform to talk about your experiences. Devoting time to critical thinking and interaction empowers us to sharpen our speaking skills, define the source of our feelings and reminds us we have voices that deserve to be heard. Community feels good: The ELU brings people together who prioritize being intentional and carving out time and space to devote to knowing themselves and others better. This is a group that provides love, support and where no question or opinion is off-limits. We truly are stronger together: The more time we spend having invigorating discussions, finding common ground with others, and cementing how we feel about topics that affect us, the more powerful we become both individually and collectively. Self-care is important: In today’s fast-paced world it can be easy, especially for those who identify as female, to put their interests and pursuits behind other things that may seem more ‘urgent’ or ‘important.’ Devoting time to pursuing your interests, and your $ by supporting causes you think are worthwhile, are some of the best forms of self-care! The ELU gives everyone a nourishing and energizing experience that allows you to find your own voice on matters that are important to you.